E is for Explore! : Toilet Paper Geometry?! Big project, you'll have to work as a group on this one! 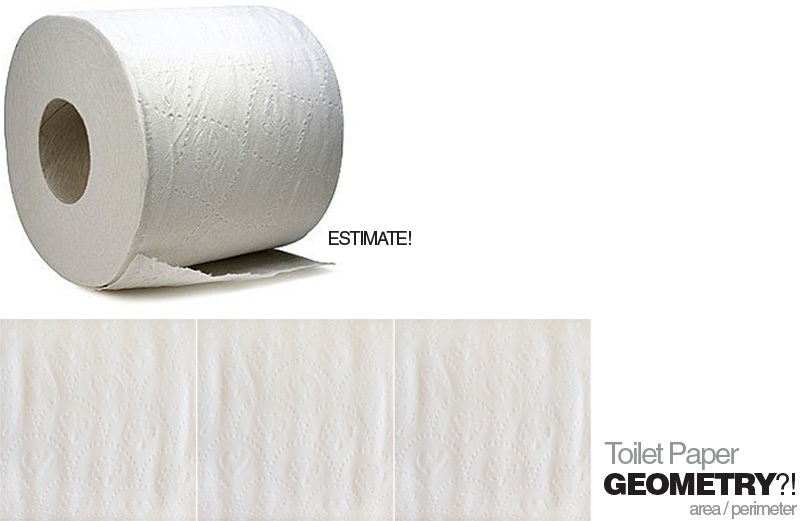 Over at Smart Chick Teacher's Blog, kids estimated how many sheets are on one roll of toilet paper. Next, they laid out their sheets to form one large four sided shape (square or rectangle, depends on how many sheets are on your roll). Then, they measured and found the area and perimeter of their four sided shape! Check it out here! You can also find the volume of the roll, use the formula for a cylinder! Check out Mark Tully's project here! Note: You could also do this activity with a roll of paper towels. I think at the time math is very difficult subject, parents should help kids in solving math problems. and about 12 sided I want to share a simple definition as-12 sided polygon is called as dodecagon, This is one type of regular polygons, it may be regular or irregular. It’s a 12 sided closed figure. The activity sounds great! However, the link to Smart Chick Teacher's Blog does not work, or rather the site no longer exists.